If you’ve kept up with our blog, you’ll remember that we had a post on creating beautiful container gardens a few months back. Today’s post also covers container gardens, but this time with mix-n-match fall flower ‘recipes’ for jaw-dropping stunners. While I’m sure your pots looked fabulous all summer, fall is here and you might feel like your flowers should change along with the seasons. 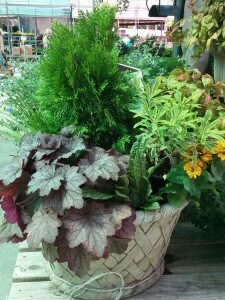 Here are some examples of fall plants that look great in container gardens. 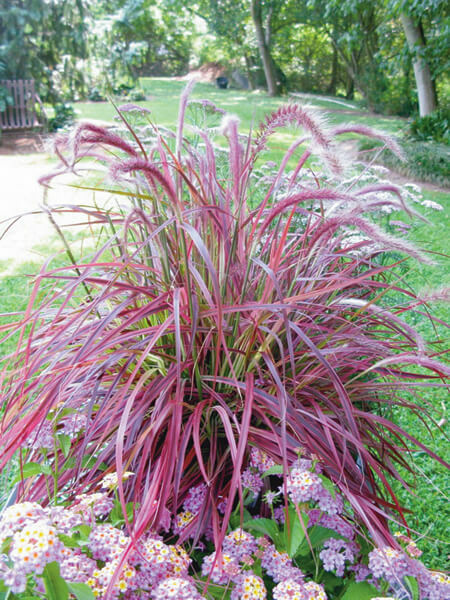 Carex – This plant has long, grass-like leaves and ends up with beautiful orange highlights in cooler weather. Dwarf Pine – Have you ever considered using a tree in your container garden? You should! Dwarf pines make excellent additions to pots and can be pruned into all sorts of shapes. 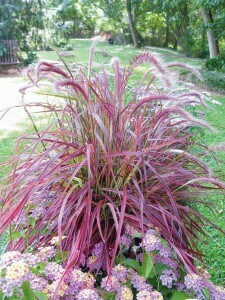 Purple Fountain Grass – The graceful drooping leaves of this grass fade in color from green to orange to wine. Long fuzzy heads crown the top of the stalks. Chard – Try some veggies in your pots! Swiss chard and Rainbow chard have beautifully colored stems and large leaves that will add interest to your containers. Munching is allowed! Barberry – This little shrub can add some green or burgundy to your pots; its natural growth habit is to stay low and rounded, so it will look great with minimum attention! Kale – While kale is known for being a healthy addition to salads, it also can serve double duty as a decorative plant. 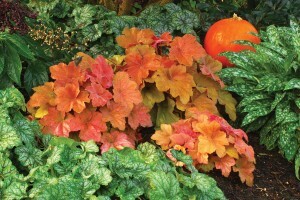 The cabbage-like plant boasts ruffled leaves and beautiful colors. Mums – Mums are gorgeous by themselves, but are stunning when combined with other plants in a pot. The many colors offered guarantee that you’ll be able to find the perfect shade for your pot! Pansies – A perennial favorite, pansies provide the perfect pop of color to your pots. They’ll even last through the cold winter months so that you’ll have cheerful pots until spring! 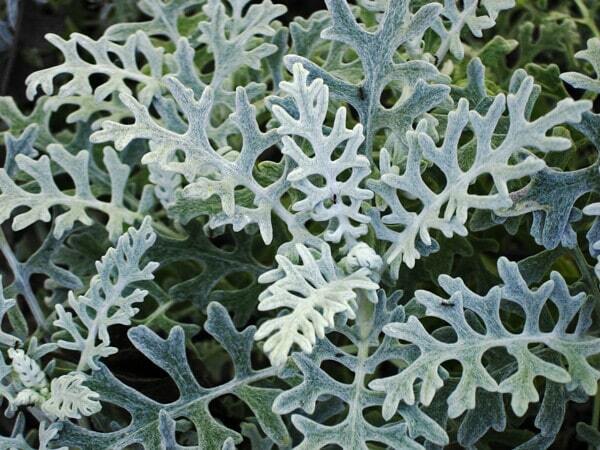 Dusty Miller – This plant adds an unusual silver color to your pots. Its fuzzy leaves gleam in the sun and will wow everyone who sees them. Snapdragons – How many of you remember your moms showing you how there’s a little face in a snapdragon? Now you can share the wonder of that discovery with any children you know, be they grandchildren or neighbors! Snapdragons come in a variety of bright shades, including white, pink, yellow, red, and peach. 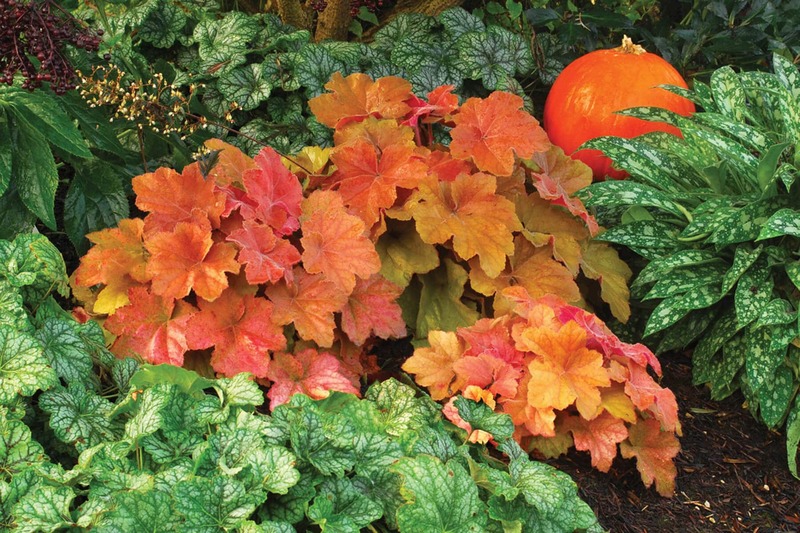 Heuchera – This lovely spiller comes in a wide variety of colors, including a deep purple that makes a lovely contrast with fall reds and yellows. Wintergreen – Wintergreen is most commonly associated with chewing gum, but its shiny green leaves make it a lovely plant in pots. It produces bright red berries in the fall. Creeping Jenny – This little groundcover also works well as a spiller; true to its name, it will creep over the lip of your pots and add a waterfall of brilliant green. Potato Vine – This trailing vine comes in both green and purple and will add that extra oomph that your pots need. Dwarf Gardenia – Did you know gardenias came in a trailing form? This spiller produces beautiful flowers and will smell terrific while in bloom! Be sure to stop by The Family Tree in Snellville, GA to browse our selection of fall plants and choose the perfect ones for your pots! Our associates are happy to answer any questions you might have, as well as offer suggestions on how to achieve the look you want. 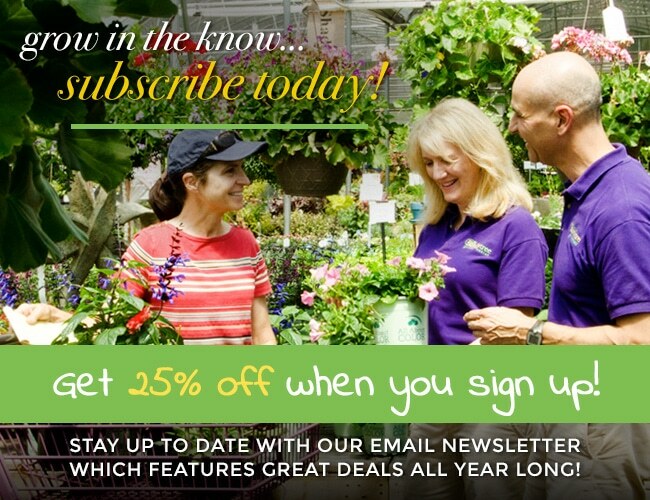 « Gardening 101: What’s the Difference Between Annuals and Perennials?